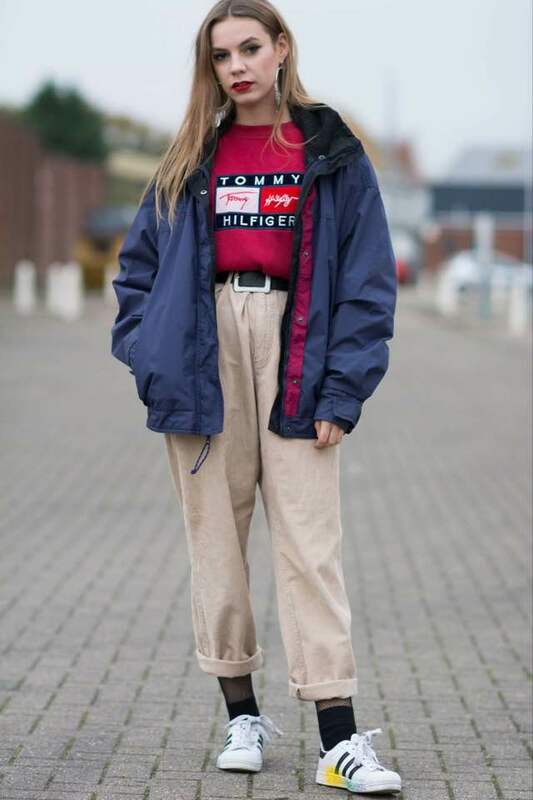 What gives a sweatshirt that 90s vibe? Well for me its the colours. Different coloured panels like greens and pinks with a retro logo. Basically I'm describing the sweatshirt below. 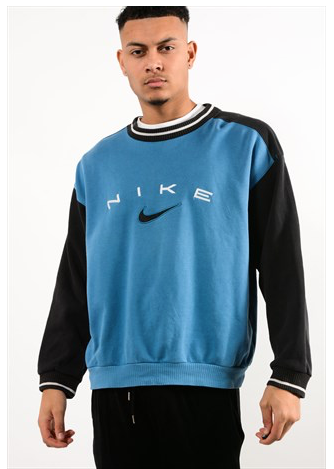 If you didn't want to stick out in the crowds too much then go for a more classic 90s sweatshirt with some subtle colours with a big embroidered logo. One brand that has risen to the top is Champion and to be honest as a kid I hadn't really heard of Champion. I was more of a Adidas or Nike kid with the exception of my Kappa Poppers, who remembers those bad boys? Anyways Champion today are hugely popular with the streetwear scene so get a 90s Champion 1/4 zip then you'll be the coolest cat at your bus stop.